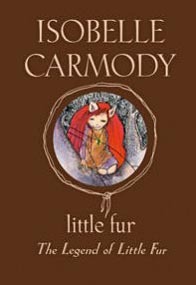 This series follows the adventures of Little Fur - a small being who is half elf and half troll - as she embarks on a quest to save her secret wilderness home from destruction. Her journey takes her and her friends from their secluded safety into a dangerous human world with many obstacles to overcome. Blending fantasy, mythology, adventure and ecological elements, the 'The Fur' novels endeavour to present younger children with a magical view of the world, and to set an example for them through the determination, sensitivity and protective nature of its heroine.